The Children’s Orthopaedic Center at Children’s Hospital Los Angeles provides the most comprehensive pediatric orthopedic care in the western United States. Our team consists of surgeons, nurses, rehabilitation experts, physical therapists, physician assistants, biomedical engineers and numerous other collaborating support staff. We specialize in every ailment associated with orthopaedics, including fractures, injuries, spine disorders, neuromuscular weakness, tumors, and hip, hand and joint abnormalities. 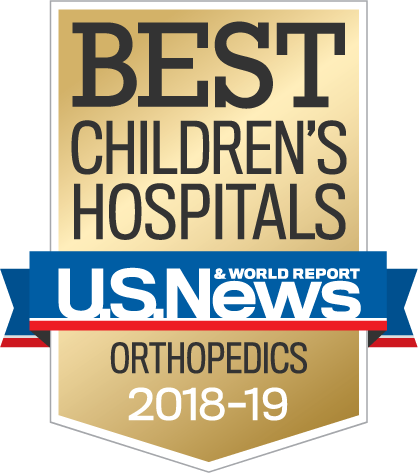 The program receives high honors annually from U.S. News & World Report and is regularly ranked among the elite children’s orthopaedic programs nationwide, confirming the excellence and scope of our patient care. It also speaks to our reputation among our peers, our vigilance in preventing surgical complications, our use of the most advanced technologies and our supportive relationships with our patient families. At the Brachial Plexus Clinic of Children’s Hospital Los Angeles, our team of surgeons, nurses and occupational therapists offer medical evaluation and treatment for children with perinatal brachial plexus injuries (PBPI). 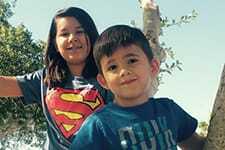 We help kids regain function and reach their full potential. At CHLA, your child benefits from working with our orthopaedic surgeons, neurosurgeons, occupational therapists, orthopaedic nurses and orthotists. The Brachial Plexus Clinic at CHLA specializes in providing complete care and unique treatment plans for children from infancy to school-age. The Bone and Soft Tissue Tumor Program serves as a consummate example of the Children’s Orthopaedic Center’s integrated approach to patient care. The program teams our orthopaedic surgeons with oncologists, pediatric surgeons, pathologists, musculoskeletal radiologists, radiation oncologists, child life specialists and the pediatric rehabilitation team to craft a comprehensive treatment plan for children with musculoskeletal tumors. Led by one of only two surgeons in the western U.S. with formal training in pediatric orthopaedics and musculoskeletal oncology, the program sees more patients with bone and soft tissue tumors than any other children’s hospital in the region and is a leader in technology and research aimed at advancing the field of bone and soft tissue tumors in children, adolescents and young adults. The Sports Concussion Program at the Children’s Hospital Orthopaedic Center is the only comprehensive clinic of its kind in California, specifically developed to treat pediatric and adolescents with concussions. The Sports Concussion Program provides same-day or next-day appointments to evaluate patients early and optimize their recovery. The Program provides individualized treatment plans based on the most up-to-date medical research. The clinical program also includes a peer support group, where patients can share their experiences and give and receive encouragement during their recovery. To ensure state-of-the-art care, the Sports Concussion Program is leading further understanding and management of concussion through active clinical research projects. The Children’s Orthopaedic Center Hand and Upper Extremity Program treats more than 200 kids each month for the full range of disorders that affect the hand, elbow and shoulder, from common joint pain and fractures to complex cases of cerebral palsy, birth brachial plexus palsy, and congenital hand deformities. Our surgeons provide state-of-the-art care, including microsurgery, to improve the function and appearance of the arms and hands of children. The program offers another example of our commitment to collaborative patient care. Surgeons and occupational therapists care for patients together; combining their expertise to develop a therapy plan drawn up to the precise needs of every child the clinic sees. “Hip preservation” may sound like a matter for geriatric care, but recent studies have shown that most adult hip arthritis is the result of conditions that appear in childhood. The Children’s Orthopaedic Center’s Hip Preservation Program helps to delay or prevent arthritis later in life by treating disorders of the hip children and young adults. Our goal is to help our patients develop into healthier, more active, pain free adults. Our multi-disciplinary staff is composed of orthopaedic surgeons, physicians’ assistants, nurses, physical therapists, and orthotists all with a special knowledge of how the hip works. Together, our team see hundreds or children and young adults annually with hip disorders including developmental dysplasia of the hip, Legg-Calve-Perthes disease, slipped capital femoral epiphysis, femoro-acetabular impingement, avascular necrosis, and hip trauma. Our Children’s Orthopaedic Center and the Department of Radiology and Imaging are dedicated to providing the highest-quality patient care under the safest conditions. Our EOS Imaging System is helping us providing the highest quality care while reducing exposure to radiation for our patients. What is the EOS Imaging System used for? Why is EOS different than other machines? The EOS Imaging System (EOS) is an advanced X-ray system that uses two extremely fine beams to capture 2D and 3D images at one time. The images are then combined into a three-dimensional image that can help surgeons make well-informed decisions about care. The scans take approximately 20 seconds or less to take and reduce radiation exposure for a developing child by 90 percent overall as compared to a conventional X-ray machine. Reducing radiation exposure can have positive long-term effects, particularly in cases where children are diagnosed with skeletal disorders of the spine or extremities that require repeated scans over time. The John C. Wilson, Jr. Motion and Sports Analysis Laboratory uses the most advanced assessment tools to enhance the lives of hundreds of children each year. An integral part of the acclaimed Children's Orthopaedic Center, the leading-edge Lab is one of the most advanced facilities of its kind in the United States and the only one in Southern California focused exclusively on the care of children and adolescents. The Lab opened in 1992, fulfilling the vision of Vernon Tolo, MD, and Robert Kay, MD, who has served as the medical director of the Lab since 1997. The lab has been recognized for its outstanding care by receiving full accreditation from the Commission for Motion Laboratory Accreditation – making it one of only nine fully accredited labs in the United States and the only one in California. Thousands of children with nerve and muscle weakness seek treatment in the Children’s Orthopaedic Center every year, for diseases that include cerebral palsy, muscular dystrophy, spina bifida and Rett Syndrome. Our neuromuscular experts join forces with other specialists such as pediatric neurologists, occupational and physical therapists, neurosurgeons and physiatrists to help children walk better, walk faster and walk stronger. Together, using the newest technologies, they oversee the range of complex care our patients require, including nonoperative treatments such as bracing, therapy and equipment needs. For ambulatory children, evaluation in the John C. Wilson, Jr., Motion Analysis and Sports Assessment Laboratory provides critical data to allow the best treatment decisions possible. The Children’s Spine Center provides safe and effective treatment for the spines of more kids than anywhere else in the western United States. While some facilities perform a handful of scoliosis surgeries a year, the Spine Center handles about one per day. A mere 1 percent of teenage scoliosis patients require surgery; at CHLA, that number is nearly 30 percent—the result of other hospitals referring their most advanced cases to us, recognizing our unique capability to handle them. Our treatment for spinal deformities incorporates physical therapy, core strengthening and orthotics, in addition to innovative options that only a few centers in the nation offer. As an example, we pioneered the use of magnetic expansion control rods, which stabilize and support the spine of a scoliosis patient while creating room for the chest to develop. Doctors maneuver and lengthen the devices externally, with the use of magnets, eliminating the need for the invasive surgery required every six months to adjust traditional growth rods. The Children’s Orthopaedic Center is home to the only pediatric Sports Medicine Program in the Greater Los Angeles area. Led by doctors who also serve as physicians for the L.A. Galaxy professional soccer team, our program cares for all the orthopedic conditions that can impair young athletes, such as broken bones, ligament tears, dislocations, stress fractures and growth plate injuries. The success of the Sports Medicine Program has much to do with our access to new technologies, such as those housed in the John C. Wilson, Jr., Motion Analysis Laboratory. The John C. Wilson Motion Analysis Laboratory enables us to provide care previously reserved for the elite professional athlete to all athletes. The John C. Wilson Motion and Sports Analysis Laboratory provides comprehensive state-of-the-art 3D biomechanical analysis of sports activities to help advance injury recovery and prevent injury. Additionally analysis can help provide a quantitative measure to determine an athlete’s readiness to return to sport following an injury. 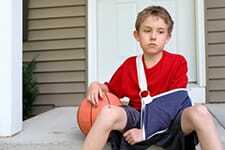 Why choose the Children’s Orthopaedics Center at CHLA? Who do we schedule an appointment with? Will insurance pay for my visit/surgery? Will you assist us with obtaining authorization from our insurance companies? What do I do if my insurance changes before my surgery or appointment? Do you have questions about your appointment and/or surgery? Start Here! What time do I get to CHLA? What if I am running late? How do I cancel? Who do I contact on the day of surgery? Who do I contact for my pre-anesthesia /pre-surgery appointment? Where do we wait while my child is having surgery? What qualifies as sick prior to pre-op? How long will we stay at CHLA after the surgery? Based on the type of procedure you will have (in-patient or out-patient), our team will let you know how long you will be at CHLA when booking the surgery.